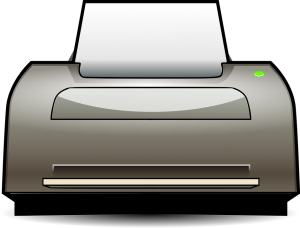 Any organization or individual who has the need for multiple printing jobs a day or has ever been involved in printing a large number of copies for a special event knows how important a printer is and how many problems can come up. It might seem like an inconsequential piece of technology which is only used for normal printing purposes. However, when it comes to Printer rental Dubai, it is highly recommended that you take a long thought before venturing out. We are here to help you out by providing the basic necessities a company should fulfill for being a trusted printer rental company and in the end give you the name of one such company which will satisfy all the given criteria. This is non- negotiable. Unless someone has proper exposure to the industry, they cannot comprehend the level of detail and other small, seemingly insignificant stuff that has a huge bearing on how your printing experience turns out to be- right from prices, efficiency, quality, longevity and servicing costs, etc. Plus when they are known for several years in the industry, there is a certain trust and belief that you can have rather than just blindly going for new companies with no track record. There are a lot of companies which will just hand you the same printer, no matter what the kind of work you are doing is going to be. They don’t even bother to hear your requirement and push their stock onto you. A good company will understand your requirement, and provide you the requisite options while explaining the pros and cons of each and give you the opportunity to choose. This depends on the quality requirement, type of paper you want to print on, the budget you have for printing purpose and amount of work you have each day. What is the point of renting a printer from someone if they can’t provide you servicing options at the same time? It just means that every time you have n issue you have to run to someone else rather than using the same person for any issue. Getting your printer from an integrated service provider will save you a lot of time and money in the long run. If at any time, you have an issue with your printer, the company you have rented it fro should be in a position to provide an immediate replacement which will enable you to continue your work as usual without any delays. One company that provides printer rental in Dubai and fulfills all the above criteria is VRS Technologies LLC via its website www.vrscomputers.com. Contact us +971-55-5182748 with them today and get the best deals ever!